Can one be free from this world by reading scriptures? Or should one stop reading for salvation? You have already read about this and have understood it. But at the same time, instead of playing cards it is better that you read something. By reading knowledge the intellect becomes pure, but nothing happens by playing cards. You only waste precious time. Lately in India, in the villages, the youth have started playing cards. They sit under a tree and play. Instead of playing cards, discuss some knowledge. There is a saying in Sanskrit, 'Kavya Shastra Vinodena Kalo Gacchati Dheematam'. It means, an intelligent person spends his time in knowledge, music, literature, science, and in bringing people together. But the foolish always enjoy spending their time indulging in addictions (vyasanam), altercations and fights. Are you seeing the state of our country today? Earlier people used to sit under the tree and discuss the shastras (scriptures), but nowadays they play cards or drink alcohol. Our ancestors never said that one must be only serious all the time and discuss theshastras, no! Be joyful and humorous, smile and make others smile; don’t get addicted to anything and make others also get addicted. Playing cards is a sort of addiction. Instead spend your time in being joyful; dance, sing, play, write something creative. Spending time on gossiping about somebody, talking ill behind people's backs - all this is a signs of foolishness. 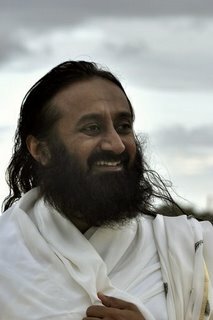 Gurudev, it is said that from every animal and bird something can be learnt. What can be learnt from humans? We can learn about the different kinds of animals and birds, we can also learn what we must do from animal and birds, but we cannot learn what not to do from them. Animal and birds cannot teach us what we must not do because they violate nature. It is human beings who violate nature and then get into trouble. So when you see another person falling in the ditch, they are teaching you to be alert so that you do not fall in the ditch. So what not to do is taught by human beings and that is why human being are considered most superior. There is an old saying in Sanskrit, 'Durjanam prathamam vande, sujanam tadanantaram'. You must first salute the bad person and then salute the good person. Why? This is because the bad person is teaching you a lesson at his own cost: 'Don't do what I did, otherwise you will also go through the same trouble as I am going through'. So, salute everyone, whether the person is your enemy or your friend. Dear Gurudev, when we shouldn’t get stuck with the five senses, why do we light a diya, incense sticks and offer flowers while doing pooja? See, you can make all these offering, and you can do none of these as well. A pooja can happen just in your meditation. These practices are a tradition, and it creates an atmosphere so people have been doing it. Let us suppose that there is a ceremony and nobody lights any lamps, you will notice that there is a lack of luster in the ceremony or celebration. So to add color to celebrations, all this is done, i.e., lighting lamps and incense sticks, decoration with flowers, etc. It is just like how we use confetti on birthday parties. Can birthdays be celebrated without a cake and confetti? Yes, you can celebrate without these items, but then there is something lacking. When there is a celebration, you like to decorate the room with some flowers, you do something to create a festive atmosphere, isn't it. In the same way, lighting lamps and burning incense sticks is to create a sense of celebration, it is to create an atmosphere of celebration, that is all. There is nothing more to it. When such an atmosphere is created, the positive ions increase in the atmosphere. Since a long time the this tradition has been going on and so we continue the tradition. From thousands of years, it has been a tradition that on a specific day with specificmantras (chants) we put specific herbs in the fire and create an atmosphere (yagya). And these practices definitely creates subtle vibrations; subtle energy which nullifies the negativity, and this has been proved already. 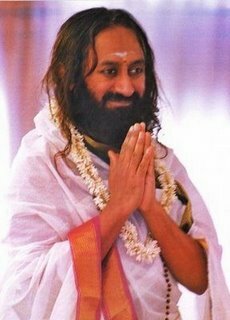 Gurudev, there are some prayer rituals that we perform at home to nullify any bad things that are to happen. My question is, will the Divine do bad to us if we do not perform these poojas? No, there is nothing like that. The Divine is not going to do anything bad to you, or get angry at you. The purpose of pooja is to keep a good atmosphere, to bring in good energy to your home and to purify your mind and your heart. If you sit with your eyes closed and go into deep meditation, that is good enough! That is the best thing one can do. When will the breath get fragrant? Only when you are meditating every day. When you are aggressive your breath is hot. When you are obsessed with desires, your breath is shaky. And when you have negative feeling and hatred towards something, your, breath smells bad. Negativity makes the breath smell bad. 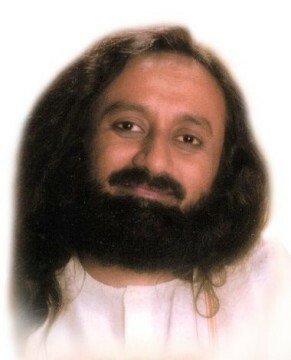 When your mind is in deep love, very subtle, very peaceful, and contented, your breath has a fragrance. It is a beautiful thing. What is the need for Samadhi and meditation when there is peace, forgiveness, compassion and patience. If you have all these qualities in you, what is the need of doing meditation? Then no need of Samadhi, you are already in Samadhi. What is the point of solitude when the whole world is me only? When everything is a part of me then what is the point of going into solitude? You know, people go to Himalayas to find solitude. Why do you want to go there to find solitude! Everybody is part of you, you have become the world, the world is you. When you get this realization, then you see that there is no need of running away to Himalayas for solitude! This knowledge is so beautiful, but it is higher knowledge. Don’t tell me tomorrow that since you are quite compassionate and forgiving you don’t need to go and meditate. Continue your meditate and you’ll see that these qualities are already present in you. Then every moment is living serenity.